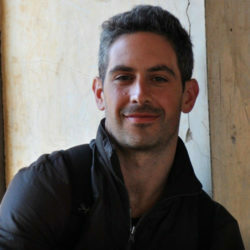 Adam began his career in the construction industry as a carpenter in San Francisco. Building proved to be a rewarding experience for him, but after 15 years of swinging a hammer, he took a leap of faith to follow another passion. Adam is also an academic with expertise in International Affairs. And so, it was only natural he’d become a VP of Business Development for a global infrastructure firm based in South Asia. After a couple years living in Mumbai, he developed a knack for seeking out and leveraging strategic partnerships. Fresh with a very Indian style of innovation, he returned to the Bay Are in 2014, and founded a homeowner advocacy and construction management resource network. He also got back to the building scene, and took a job as a project manager for one of the Peninsula’s top custom home builders. He met Steve soon thereafter when a client’s water bill was soaring, and the traditional trades couldn’t figure out why. HPS discovered the subterranean leak, and designed a solution to rectify the problem. Since then, Adam has committed himself to the nascent field of Home Preservation and Stewardship. He strives to not only expand HPS’s business, but educate homeowners locally and beyond on why these services are essential to a sustainable future for all of us.